Made his debut with Spartak during the 1996-97 season. Signed for the 1998-99 season by CSKA Moscow. Played there till 2000-01 championship. Signed for the 2001-02 season by Utah Jazz. Signed for the 2013-14 season by Brooklyn Nets. In February'15 moved back to Russia, signed by CSKA Moscow. Named the 2012 Euroleague MVP. Named the 2012 Euroleague Best Defender. Named the 2011-12 Euroleague October MVP. Named the 2011-12 Euroleague Week-1 and 5 MVP. Named the 2011-12 Euroleague Playoffs Game-2 and 4 MVP. Has been member of the Russian National Team. Played at the 2000 and 2008 Olympic Games. Played at the 2004 World Championship. Played at the 2001 and 2003 European Championships. Won the 1998-99 and 1999-00 Russian National Championship with CSKA Moscow. Won the 2012 and 2015 VTB League with CSKA Moscow. 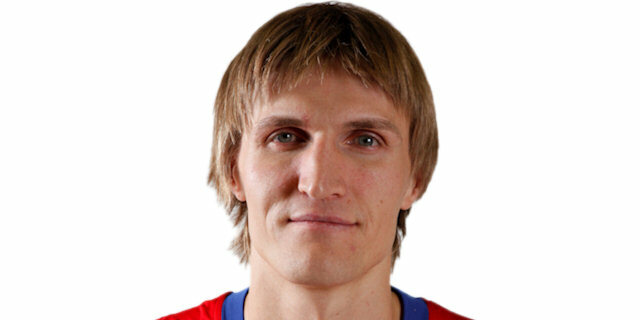 Named the 2012 VTB League Final MVP. Played the 1999 Russian All Star Game. Played the 1999 Euro All Star Game. Played the 2004 NBA All Star Game.